B105 and Bud Light are giving you the opportunity to win a cooler full of beer this summer, along with a bunch of other fun Bud Light merch! All you have to do is download the free B105 app and check in at Twin Ports area bars to earn entries into this contest. Viewing in our app? Tap to see the scavenger hunt! 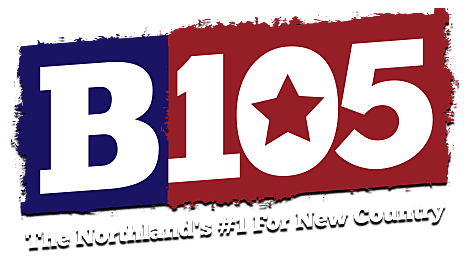 If you don't already have it, you can get the free B105 mobile app here (iOS app) (Android app). From there, visit each of the nine bars listed below to complete activities. For each activity completed, you'll earn points. For each 1,000 points earned, you get an entry in to our drawing for the grand prize of a 48-quart Rubbermaid cooler full of Bud Light, Bud Light Lime, Bud Light Orange, Bud Light Straw-ber-rita, and other great beverages from Superior Beverages. We will also be drawing weekly winners through the four weeks of this promotion who will win fun Bud Light merch like t-shirts and can koozies. The contest opens on our app at 9:00 am on Monday, July 9th, and continues through 11:59 pm on Sunday, August 5th. We'll be contacting weekly winners and our grand prize winner via the contact information provided when you begin the scavenger hunt, and we'll also be announcing winners on the air during the B105 Breakfast Club. No purchase necessary. See the full, official contest rules here.